Your Ultimate Ride to Your Experience of a Lifetime is Coming! This spring Boston Chauffeur will introduce two state-of-the-art 2019 luxury vehicles to its fleet that will serve every special occasion from weddings, proms, sporting events and rock concerts to unparalleled travel for your company’s most important corporate events. 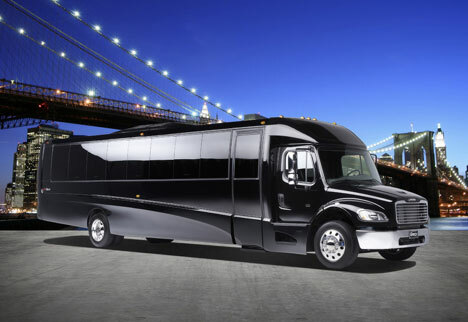 The Grech Motors 31 Passenger Luxury Bus will provide every comfort and convenience for top-flight executives, wedding parties, and those who want to party like it’s 1999. Onboard clients will enjoy LED exterior and interior lighting, a panoramic front viewing window, four LCD monitors and a DVD player with premium rear audio. Also available: 110 volt/USB outlets in every row for smartphones, tablets, and other electronic devices. With luggage, the Grech Motors bus can accommodate 27 passengers. Without luggage, it can seat up to 31 passengers. 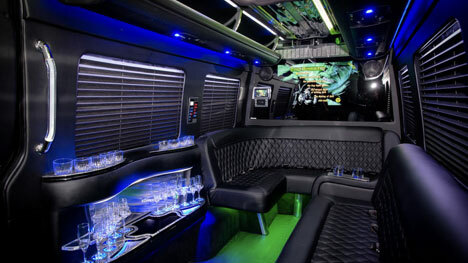 The smaller, yet more intimate, 14-Passenger Mercedes Sprinter Limo Coach will also be ready to serve clients who desire a luxurious, comfortable and safe ride for their special events this spring, summer, fall and beyond. 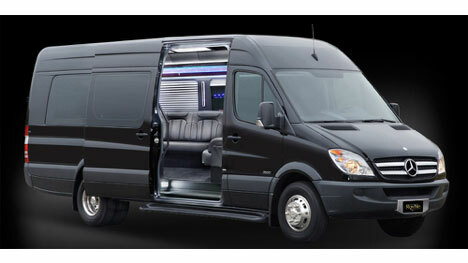 The smaller, yet more intimate, 14-Passenger Mercedes Sprinter Limo Coach will also be ready to serve those who desire a luxurious, comfortable and safe ride for their special events this spring, summer, fall and beyond. 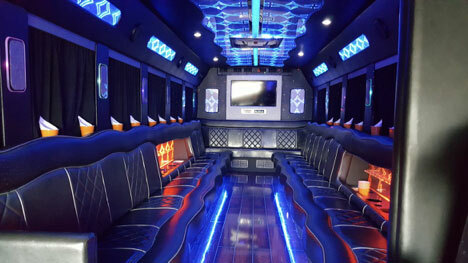 With your Boston Chauffeur driver manning the controls of our Grech Motors 31 Passenger Bus or our 14-Passenger Mercedes Sprinter Limo Coach, you and your party can sit back, relax, and enjoy the first leg and final leg of your ultimate ride to your experience of a lifetime in luxury, comfort, and style!